I thought I’d seen every photo of Darwin, but didn’t know this one, so I suspected it was a Photoshop job. However, it does appear to be real, and you can see the original here. Why do you suppose he was making the “Shhh!” gesture? Perhaps it was a pose denoting profound thought. I often wish I could hear what Darwin’s voice sounded like. I imagine it as rather high and nasal, but with a patrician British accent. It’s a pity so much history was lost before there were movies and recordings. This entry was written by whyevolutionistrue and posted on July 10, 2013 at 11:57 am and filed under evolution, photography. Bookmark the permalink. Follow any comments here with the RSS feed for this post. Both comments and trackbacks are currently closed. Is it just me or does Dan Dennet(minus the glasses) look more and more like Darwin? Dennett used this similarity in some of his presentation slides when I saw him lecture a few years ago. First, that’s a superb portrait, very well done. But I suspect that the artist took more liberties with his original source material than just the colorization. In particular, the photographic style, including a very shallow depth of field and off-center placement, is much more modern than Darwin. The hand doesn’t look entirely natural, either, and it’s too much in focus for the depth of field. I would call this a portrait, not a photograph. But, again, it’s a very good portrait. I have seen this picture (in b &w) many times. The off-center portrait, though unusual, is apparently how this picture was taken. Also, the out of focus areas are really very common for photographic portraits of this era. You can see similar effects in photos of Lincoln, for ex. I rather like the effect since it gives a kind of 3-D look. What is odd is his clubbed fore-finger. Could that signify a health problem? Well he had a life chock-full of health problems, so that very well might be the case. It does seem an unusual pose for a 19th C photograph. It’s very intriguing. That is beautiful! Very nicely done. Looks like James Randi to me! Was going to say the very same thing. because they were color pictures of black and white, remember? I’m going to go with no. Beautiful. Thanks. What will the ID folks make of his being right of center? Looks like the IDiots got to it some time ago. I couldn’t get it to run for me, but besides the title, blocked comments surely say it’s from that insecure bunch of liars. A Google Images search of Darwin shh brought up a bunch of copies. I’m still skeptical that it’s actually CD’s hand. I am somewhat skeptical as well. Looks like some clever photoshopping. A quick web search found this portrait several times, but never with any additional info. No trace of it as far as I can see on Darwin Online or the like, nor do I remember ever seeing this picture in any of my many Darwin-related books. Apparently there are about 50+ known portraits of Darwin, but I am not sure this is one of them. This mysterious pose is driving me crazy! No one posed like that! I’m wondering if he requested it since it was unusual & he often sat for photographs. The hand was Photoshopped in. I’m pretty sure @kejames told me she had met Darwin’s finger-double. If memory serves correct, he works at the London Natural History Museum. The “original” is a fake. As other commenters noted, it’s composition is very un-Victorian. The actual original seems to be this Elliott & Fry portrait from 1881. Note that the photoshopper has reversed the image– Darwin’s beard curls left in the photoshopped version, his right eyebrow (rather than the left) is bushier in the photoshopped version, and the mole/pimple/bump is to the left of his nose (rather than the right) in the photoshopped version. Several independent photos at the National Portrait Gallery confirm that the Elliott & Fry photo is correctly oriented. The (photo-shopped addendum finger) does not seem to me intended at all to convey a request to shush; I could go instead with a mid-sentence contemplative finger to the lip, a social time out signal, to allow one to ponder for just a bit before completing one’s thought. I agree. 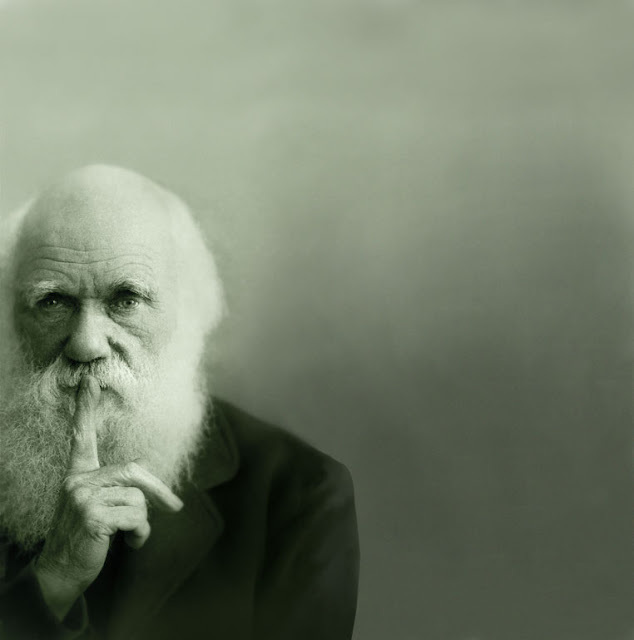 However, Google images for Darwin Contemplative Finger doesn’t deliver any goods but Darwin Shh does. Exactly, I agree. No “shhhsing” going on in this portrait. They did the same with the Billy the Kid photo to make him look left handed, which he was not. Was that to make him look sinister with the hand called sinister? Real or PhotoShopped, if ever there was a caption contest waiting to be started, there it is! The timing is very good, I’m a fair way through Janet Browne’s excellent 2-volume Darwin biography. Currently up to page 295 in Vol.2 “The Power of Place”. Up to around 1868. It’s superb and you really get a feel for the day to day existence he had. I often wish I could hear what Darwin’s voice sounded like. I imagine it as rather high and nasal, but with a patrician British accent. 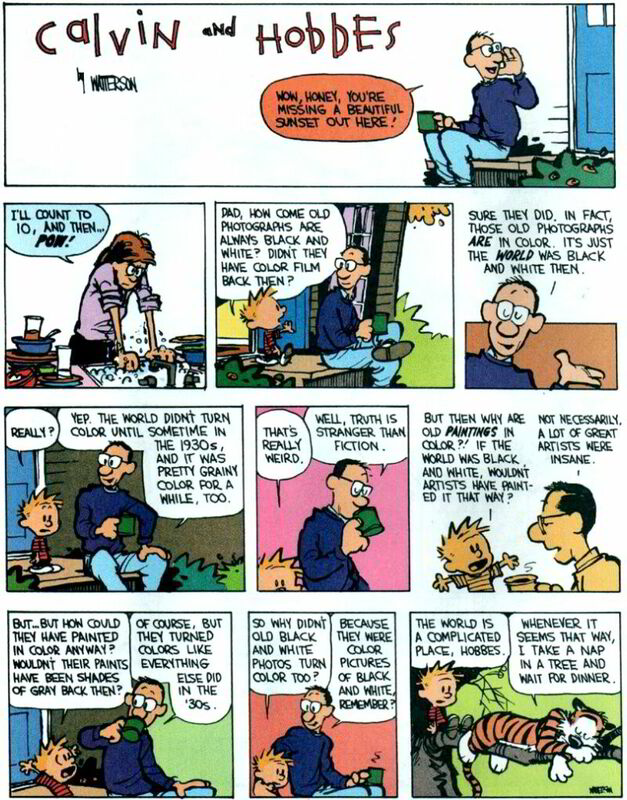 I always imagine he sounded like my Dad. “What’s funny is that I could totally see this being used as a cover for an intelligent design book called ‘Darwin’s Secret’”. There are not that many original Darwin photos – readers will have seen most of them.